Easter is coming up and with that comes Easter Brunch. Easter Brunch is such a great time to get together with your family and friends to celebrate the holiday. Brunch tends to also be slightly less formal and easier to put together than a several course, sit down meal. When I am asked to bring something to a brunch, I like to turn to quick breads. Muffins, loaves of bread and coffee cakes are perfect for an Easter brunch. 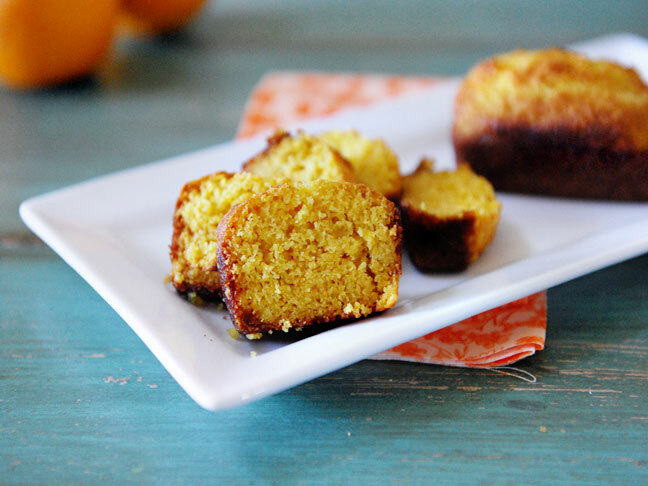 I personally love the combination of Bananas and Citrus in this Banana Orange Mini Loaf recipe. The flavor of the fresh bananas combined with the tang of the citrus are a definite springtime treat sure to be a hit at any brunch. However you chose to spend the Easter holiday, we hope you are surrounded by family, friends and delicious food! Enjoy! Combine sugar, oil and eggs in a medium bowl and mix well. Stir in bananas and orange juice. Combine the dry ingredients then add to banana mixture, beating just until moistened. Pour into 4 mini loaf pans sprayed with non-stick cooking spray. Bake at 350• for 20 minutes or until toothpick inserted near the center comes out clean. Cool for 10 minutes before moving to a wire rack to cool completely.